We’ve arranged a series of presentation tips to help you with better presentations and speeches. We are confident you’ll appreciate them because all the tips feature in our training. You too can benefit from all these tips. First, you can watch the tips here, in video format. Or, second you can receive the presentation tips direct to your email. Or, of course, you can join us on a presentation course. We all know what it’s like. You have just given a pretty good presentation and someone says to you that they have some feedback for you. Typically you might be unsure how to handle this type of feedback after your presentation. Should you be upset or angry? God forbid. It’s not that bad. Because the thing is you should come to appreciate feedback after your presentation. Not least, because it suggests that someone was paying enough attention to make some comments. That’s good. You might well have given several presentations or conference speeches already during your career. So when you receive feedack after your presentation you wonder whether you are doing it right at all. The thing is, you probably are. But we can all get better at everything, with some encouragement. 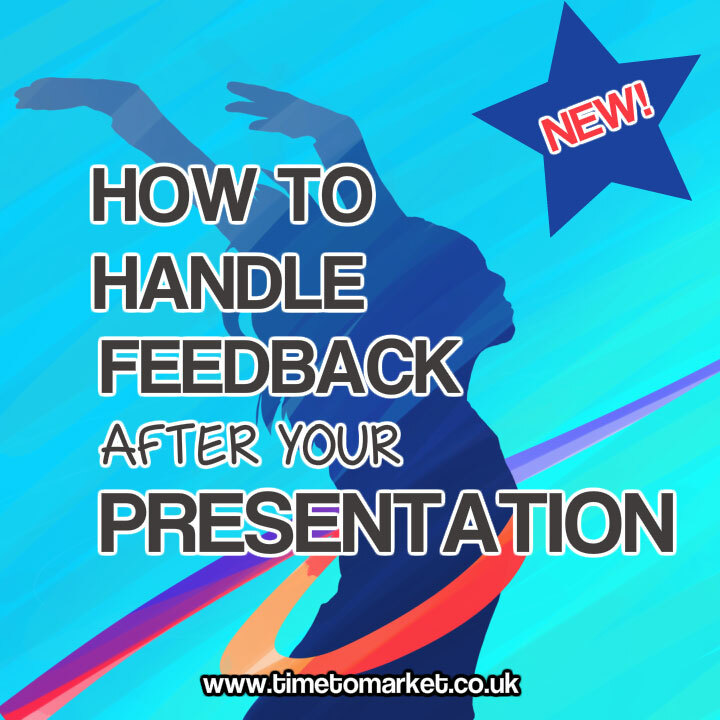 Therefore, these simple pointers should help you to handle feedback after your presentation that much better. None of us is perfect all the time. You don’t need to execute all your feeback, since some of it is bound to be self-contradictory. But, it’s always polite to listen to feedback. Evaluate all the feedback that you receive. Thank people for their feedback as it always works. You can always anticipate some form of feedback from your colleagues at work, so it’s a good plan to be ready for it. Because feedback isn’t criticism. What really matters is how you handle feedback and what you do with it.